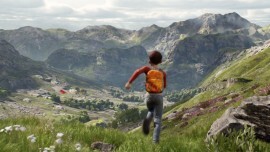 At the annual Game Developers Conference in San Francisco, Epic Games announced big news for the gaming industry: Unreal Engine is available to everyone for free, and all future updates will be free. In a piece focused on showing off a beautiful environment, this character would be the main catalyst of a subtle story that leads the viewer to the core message, “IF YOU LOVE SOMETHING, SET IT FREE”. We were, of course, excited about this opportunity and accepted it without hesitation. Below is the result of this time spent collaborating with the fantastic team at Epic. 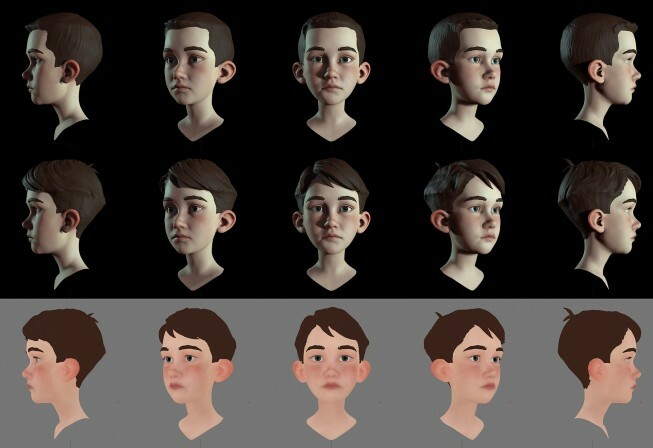 After receiving initial art direction from the team at Epic, we wanted to begin by focusing on the boy’s face, since it needed to project all the emotional qualities set out in the concept stage. Giving it an initial form sparked good discussions within our team. The team at Epic gave us clear direction about the desired style via drawn notes as well as face to face video conferences on a weekly basis. This direction of the head and body gave us the focus needed to finish this in an extremely short time frame. PHASE 2: Refining sketches and modeling the head. After initial sketches were done, we had a very good idea of where Epic wanted us to go with this character. 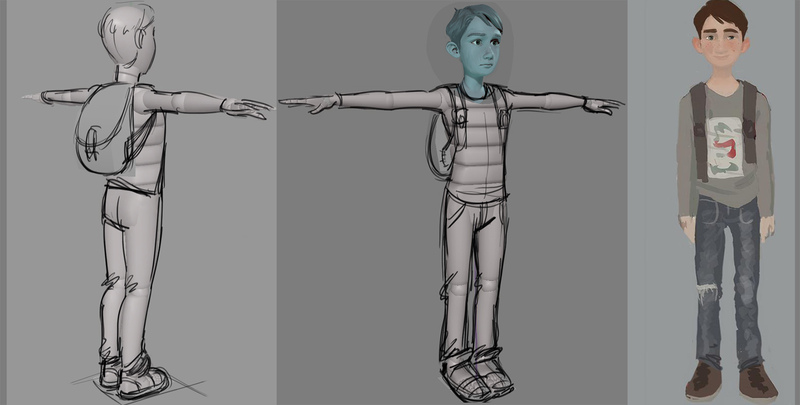 We quickly did a number of clothing variations as well as a full sculpt and color pass for the head. In consultations with Epic we further refined his face proportions. We also did a lot of hair style variations but then narrowed the choices down from there to just two. Having established the face, we then started thinking more about secondary features like cloth wrinkles and hair parting for animation. Since facial expressions are just as important as the design of the character itself, this phase was very important to us. Facial expressions define how the audience perceives the character, so we felt this had to be absolutely perfect. We incorporated our advanced facial rig featuring Rig Logic embedded within a Maya scene which coordinates individual rig elements into a holistic FACS solution for the face. This empowers the animator with isolated controls which move the face as a whole, leaving the artist concerned only with conveying the emotion that needs to be seen on the face rather than battling deformational issues. It is important to note that this is a full blendshape rig featuring hundreds of shapes. Fortunately, the Unreal Engine handles these without any problems. Finally, the time has come for in-game faces to look as good as in feature films. We encourage developers to use blendshapes as much as possible. Nice results can be obtained by joint deformations but blendshapes are hard to completely replace, even if you use hundreds of joints. The good news (proven by this demo) is that technology has matured enough for high-end blendshape rigs to be a part of new games. Developers are often surprised by how many blendshapes they can have in a rig after all the necessary metrics are achieved. 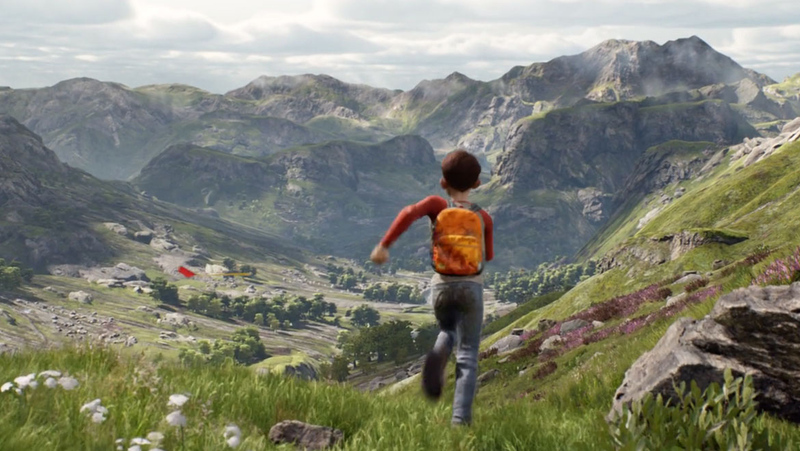 After we completed authoring the asset in Maya, we imported everything into Unreal Engine 4. We then did an initial look development to help the team at Epic who then gave the asset the final polish. Below are a few in-engine screenshots of the asset prior to final look development. 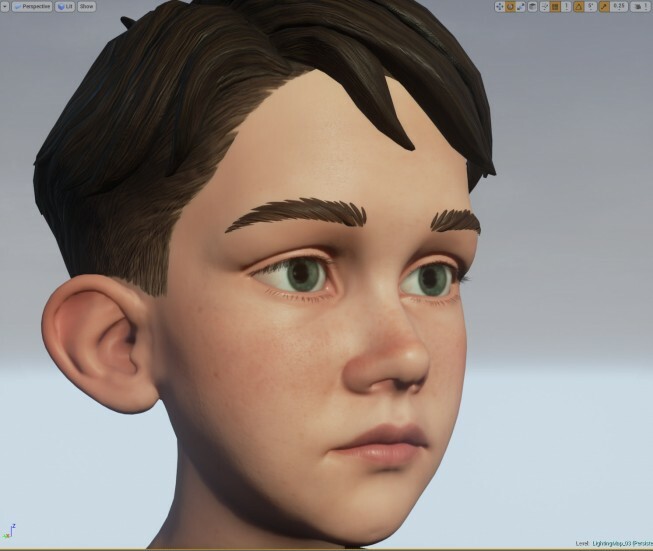 After seeing the asset in Unreal Engine 4 we tweaked a few things per request such as eyebrow textures and hair specular, and then softened the hairline. 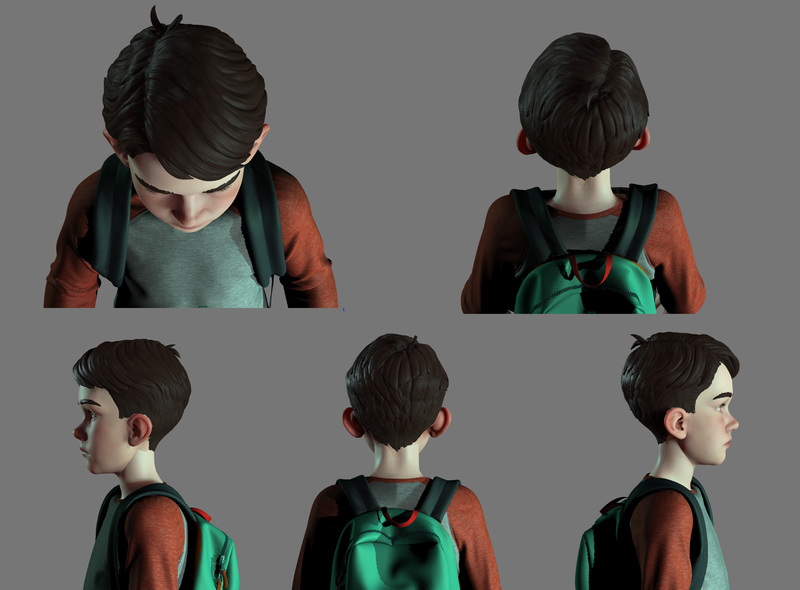 We left it to Epic to finalize the look in order to bring the boy to life in the amazing open world demo. This was a great quick project and we’d like to extend big thanks to Epic Games for inviting us to collaborate on this fun piece!